Description: Vintage 4-shelf bookcase. Distressed blue with white painted in the backdrop. Description: Vintage 6-sided, Side/End/Coffee table with beautiful slate top. Freshly painted. 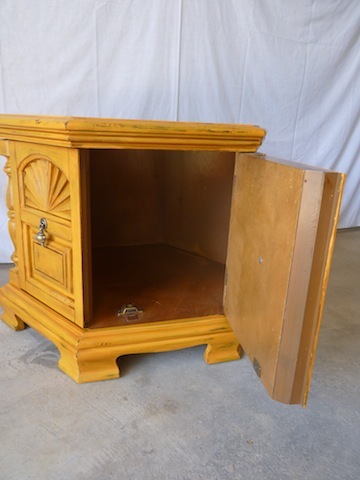 Two doors open up to provide plenty of storage. 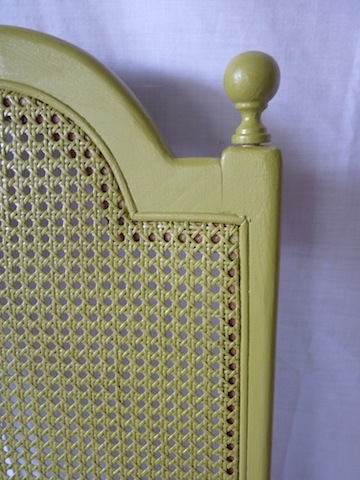 Dimensions: (W)x 25" x (H) 21" and point-to-point is 28"
Description: Cute Shabby Chic Side Table. 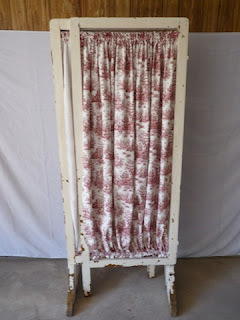 Freshly Painted pink and lightly distressed. Would be great for a girl's room. 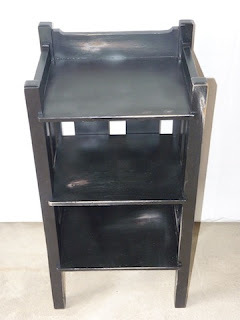 Description: 3-shelf old phone stand. 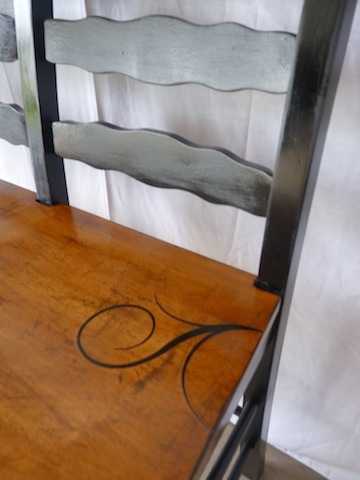 Freshly painted black and lightly distressed. 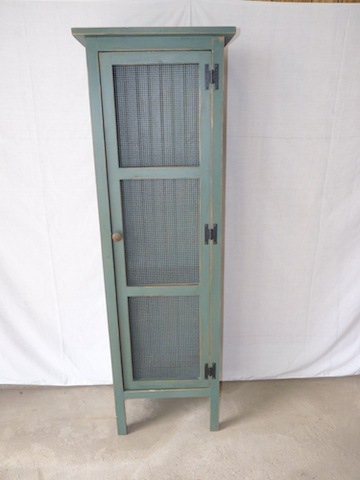 Dimensions: (L) 16" (W)x 12" x (H) 30"
Description: Distressed Green Cabinet with shelves and beadboard backing. 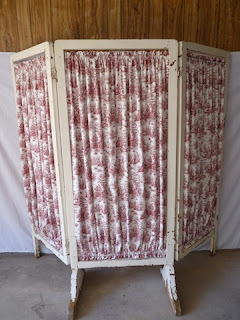 Description: Three-panel Screen from an old Indianapolis Theater. 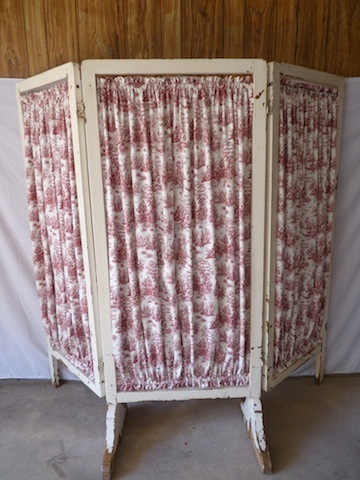 Cream frame, distressed, with red/cream toille fabric. Dimensions: (L) 77" when open fully, 24" each panel x (H) 66"
Description: Two-person barstool bench. Frame is freshly painted black. 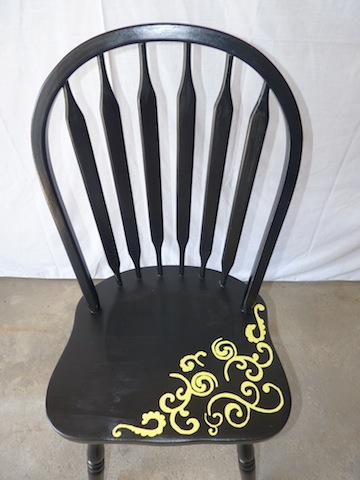 Wooden seat is distressed with black floral design. 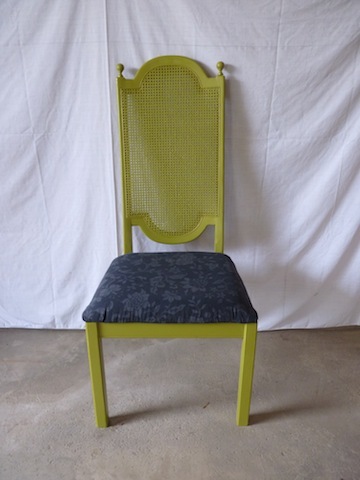 Description: Retro green high-back chair with black floral seat. Caning is in great condition. 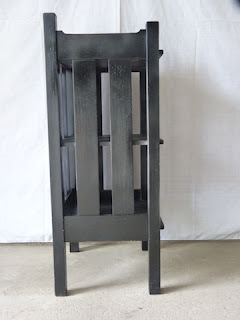 Description: One of a kind black side/kitchen chair. Freshly painted black with a yellow, whimsical design painted on the seat. 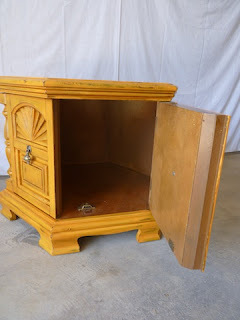 Dimensions: (L) 19" x (W) 16" x (H) 37"
Description: Retro orange, 6-sided table that can be used as side/end/coffee table, with a door that opens to provide plenty of storage. Great detail on the front. 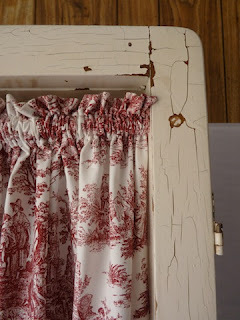 Heavily Distressed. 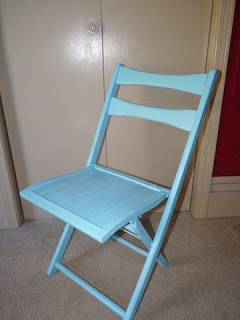 Description: Shabby Chic folding side chair freshly painted in robin's egg blue. Dimensions: (L)13.5" x (W)13.5" x (H)31"
I'd like you to welcome my new side kick! Her name is Johnna and she is fabulous at seeing the beauty in what others have deemed trash. She will be posting many of her items later tonight so stayed tuned! They are gorgeous and fit Lila's Pockets perfectly. I know you will love her and the pieces she has created. Welcome Johnna! 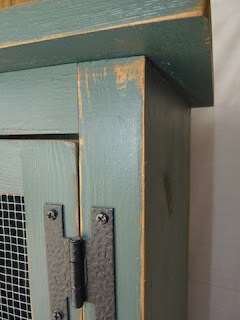 Description: Vintage dresser freshly painted a sandstone and turquoise. Heavily distressed. Original antique glass knobs. Perfect height for a changer, too! Dimensions: (L) 38" (W)x 17" x (H) 33.5"
Description: Unique set of 3 end tables. 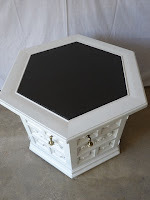 Two side tables and one corner table. Tapered legs with gold tips evident of the era. Description: Retro kitchen/side chair. Freshly painted bright blue. Original cream, vinyl seat in great condition. Dimensions: (L) 16.5" x (W) 19.5 x (H) 19"
Description: Old fireplace mantel. 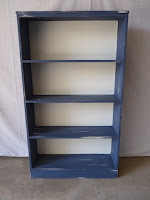 Use as a dramatic shelf to take up lots of wall space. Freshly painted black and lightly distressed. Wall hangers attached. 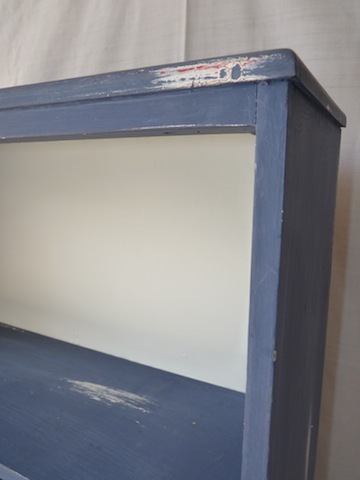 Dimensions: (L) 7"x (W)77" x (H) 9.5"
Description: Vintage white 6-drawer desk. Freshly painted white and lightly distressed. Clear coat on top for extra protection. Description: Vintage grey and white dresser. 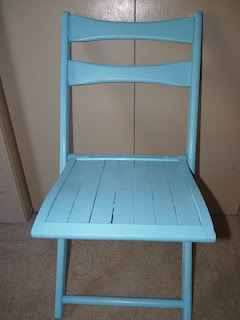 Freshly painted and lightly distressed. 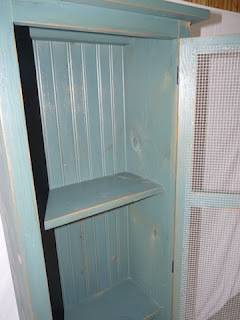 Top portion of dresser would be great for jewelry!